APR Presents the TTS ECU Upgrade! APR Presents the RS Q3 2.5 TFSI ECU Upgrade! The APR Stage I ECU Upgrade is the first step towards making more power! This simple upgrade requires no engine hardware modifications, and produces 415-435 HP with 434-464 FT-LBS of torque depending on fuel grade. Gains as high as 75-118 HP and 85-135 FT-LBS of torque are available throughout the power band, depending on fuel grade and factory output, making the vehicle exceptionally quicker in all scenarios. Now available all RS Q3 2.5 TFSI Models. Read more. 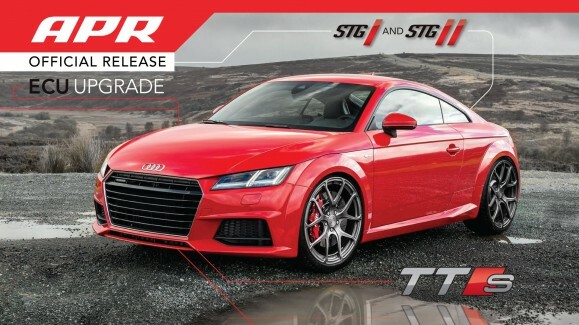 APR Presents the RS3 (8V) 2.5 TFSI ECU Upgrade! 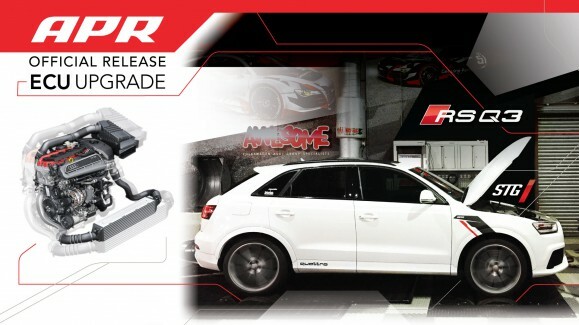 The APR Stage I ECU Upgrade is the first step towards making more power on your new Audi RS3! This simple upgrade requires no engine hardware modifications, and produces 415-435 HP with 434-464 FT-LBS of torque depending on fuel grade. Gains as high as 61-86 HP and 70-100 FT-LBS of torque are available throughout the power band, making the vehicle exceptionally quicker in all scenarios. Read more. APR Presents the Q5 Front Mount Intercooler System! The APR Intercooler System for the Q5 is a massive front mounted upgrade that dramatically reduces intake air temperature (IAT), minimizes heat soak, and provides increased performance! The system is an easy to install, direct bolt-on design, that is recommended at every stage of performance. Visit our product page to learn how we picked up 17 Horsepower over the factory intercooler! 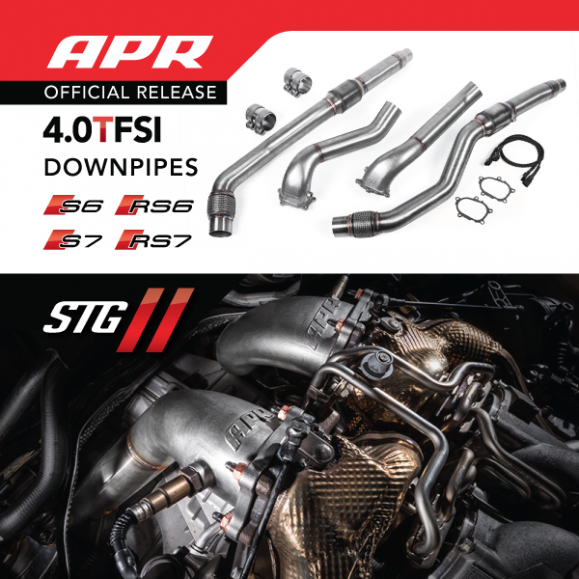 APR Presents the 4.0T Cast Downpipe Exhaust System! APR Presents 4.0T Stage II ECU Upgrades! APR’s Stage II ECU Upgrade is now available for the Audi S6, S7, S8, RS6 and RS7 4.0 TFSI Engine! The APR Stage II ECU Upgrade is for use with a high flow exhaust downpipe system and produces incredible gains! Gains as high as +25-71 Horsepower and +32-95 FT-LBS of Torque over Stage I are available, depending on octane and vehicle platform. You are currently browsing the APR_UK_news blog archives for April, 2016.